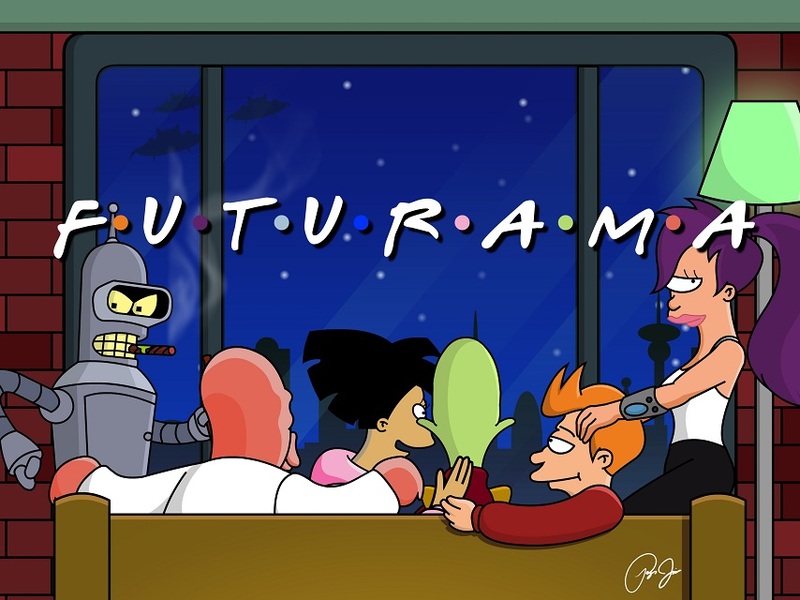 A little while ago I noticed some striking similarities between two of my favorite TV shows forever (FTVSF), Friends and Futurama. Not only do both shows take place in New York (albeit separated by about 1010 years), but the casts line up perfectly: awkward nervous Kif = awkward nervous Ross, bossy Leela = bossy Monica, beauty queen Amy = beauty queen Rachel, breaux-tastic Fry/Bender = Chandler/Joey, and Zoidberg = Phoebe because weird, live on streets, and I couldn’t really fit anyone else to Phoebe’s archetype. 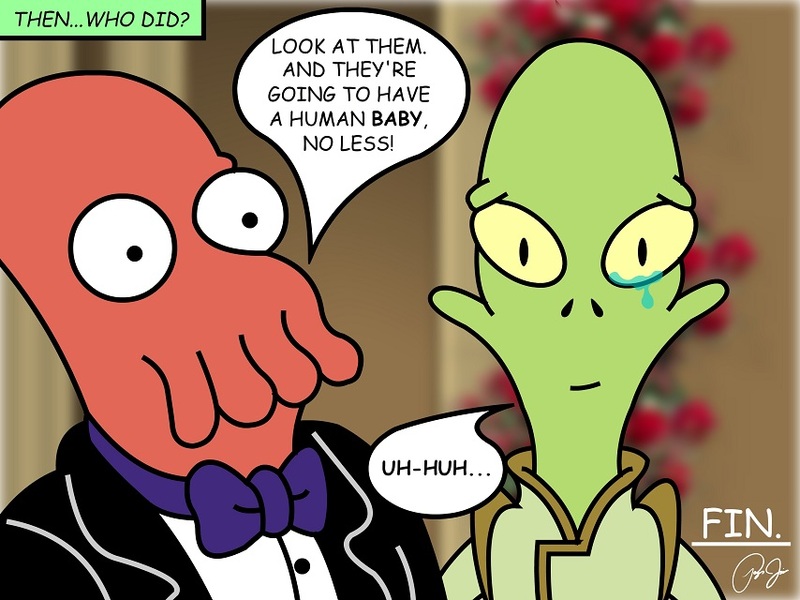 In any case, I’m going to be remaking some of the most iconic Friends scenes in the Futurama universe, which should be as fun as a slippery baby seal. If anyone has suggestions as far as what scenes to do, I’m all ears. 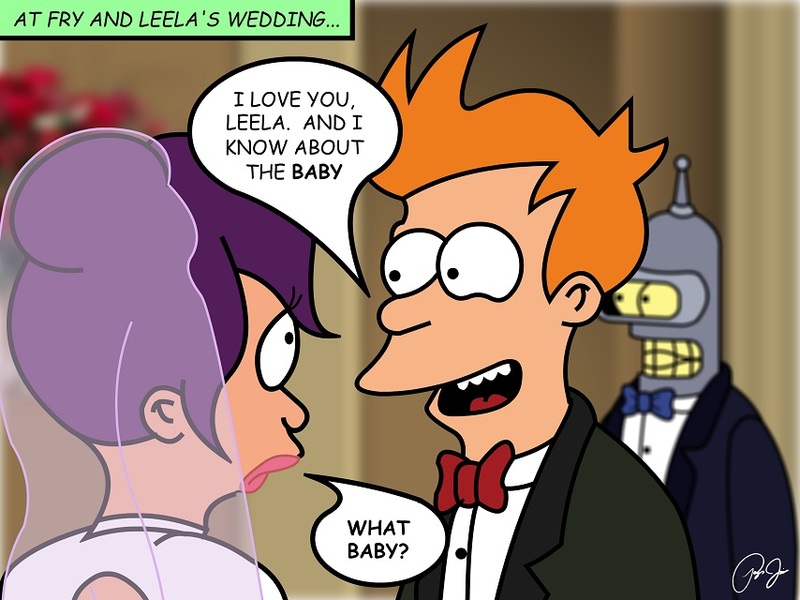 To start off, here’s perhaps one of the most iconic scenes in television history, remade with the characters of Futurama. Yay!